Ethan is originally from Scott City, Kansas. He was very active growing up, playing many youth sports and high school sports. Being from a small town, a Physical Therapist who was also a Certified Athletic Trainer from a larger neighboring city would visit his high school weekly to evaluate and rehabilitate high school athletes who had suffered injuries. This sparked Ethan’s interest in sports medicine and rehabilitation so he decided to major in Athletic Training while he was a student at KU. He knew he wanted to continue on and obtain a higher degree in the rehabilitation field after undergrad and received his Doctorate in Physical Therapy in May of 2016 from the University of Kansas Medical Center. 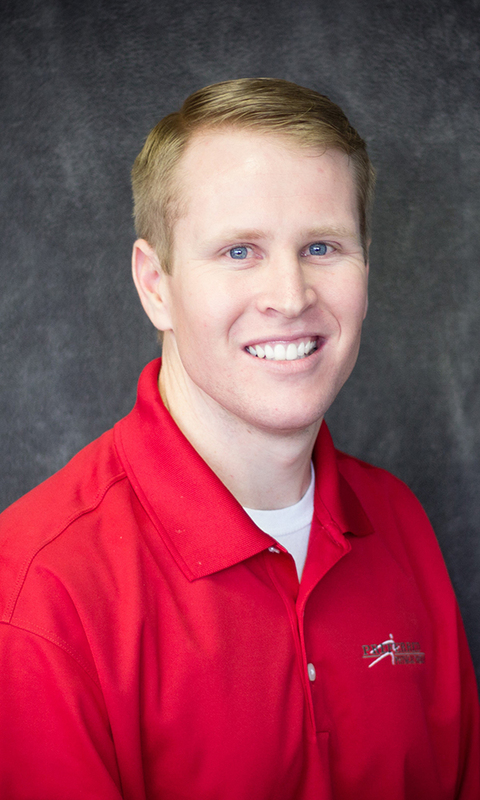 Ethan enjoys working with all populations, but especially enjoys sports medicine and general orthopedic patients. He is hoping to take more manual therapy and pain management certification courses in the future. When not practicing Physical Therapy, Ethan enjoys spending time with his wife, son, family, and friends. He is an avid Royals, Chiefs, Sporting KC and KU fan and takes any opportunity he is given to attend a sporting event.